Whenever it comes to selecting a theme for your WordPress blog, very first question which comes: What kind of theme I should go for? 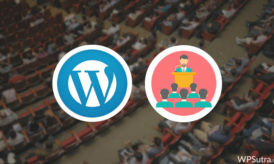 With the commercialization of WordPress marketplace, there are many popular WordPress premium theme club out there, and selecting the best one is the task. If you are serious about blogging, you should be considering premium themes on your sites. No matter how hard you work to create great contents on your blogs, you must stand out from the crowd by making your blog design better, agree? 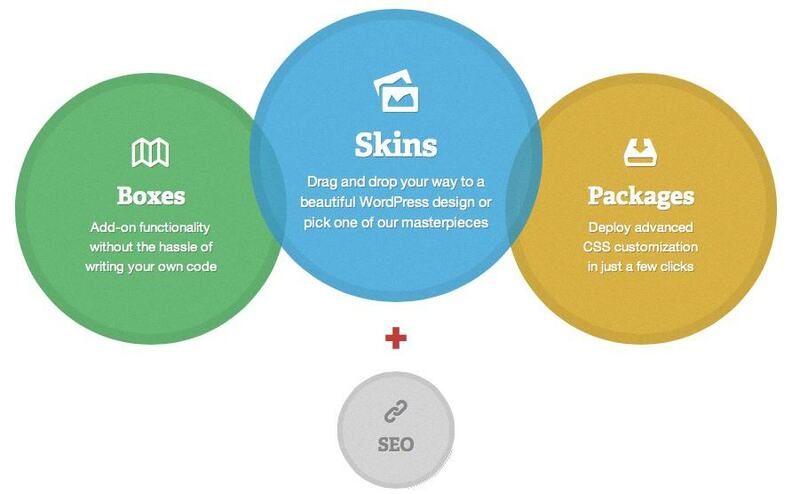 Why should you consider premium WordPress themes? Premium WordPress themes are way better than the free themes; you don’t know whether the free themes contain malicious code or not. But, by using premium themes on your WordPress blogs, you will surely reap the best rewards from the search engines as most premium themes are designed for being search engine friendly. These are just a few of the excuses of using a paid theme for WordPress blog. The primary reason, I usually don’t recommend free themes, because they are poorly coded, and most of them are not search engine friendly. So instead of spending hours searching for a free theme, grab a perfect theme for your blog, which suits your niche and your personality. Genesis is also a framework just like Thesis. Unlike Thesis, Genesis comes with a cheap price tag of $60. If you are downloading Genesis, I will recommend you to opt for their pro package. That will include all their existing themes and future skins for free. I recently purchased pro-package and trying them on new niche sites, I’m building. Why should you buy Genesis theme? Price tag: If there’s ONLY one thing that is making Genesis more popular from Thesis, it will be the price factor. And Genesis offers search engine friendly framework and support as Thesis offers, but for an affordable price. Frequent updates: Genesis frequently updates the versions to make it look better for both search engines and their users. You will find it easy to customize Genesis themes to make your blog design stand out from the crowd. 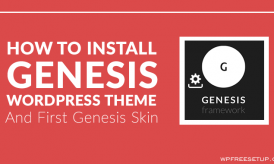 All in one package: Genesis themes have a wide range of child skins available to make your blog’s appealing even better. If you are not a designer, you can use these child skins to make your design look like a pro. All the child skins that you find on StudioPress (Genesis is developed by StudioPress team) look so stunning and comes with an affordable price range. Why should you consider Thesis theme? Easy to customize: You will find it easy to customize Thesis themes. There are so many tips, tutorial and videos are available to customize your thesis themes. There might be a lack of official documentation, but you can find tons of tutorials on internet to customize thesis. Moreover, with boxes and packages, modification of thesis is easier now. Here at WPSutra, we are using Thesis theme, with a custom skin. Search engine friendly: Thesis themes are great search friendly themes; they are designed for the bloggers who run after search engine traffic. So you will find it easy to optimize the blog posts for the search engines if you use Thesis on your sites. Pagelines is a great premium theme that makes your blog design looks great. Use PageLines Drag and drop Framework and WordPress to build professional websites faster, easier. This theme looks so professional, clean and neat. You will feel much comfortable using Pagelines on WordPress sites with the drag & drop system. 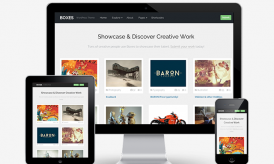 If you want to get high-quality themes at one place, WooThemes is the right place for you. The theme interface options are very easy to customize your WP sites, and these themes greatly search engine optimized. You don’t find it hard to optimize your blog posts for the search engines by using WooThemes. The code looks so neat and easy to use. You should consider buying Elegant themes if you are on a budget, yet you want to use better premium themes on your WordPress sites. You can get Elegant themes just for $39, and you are ready to use an entire collection of whooping 79 themes! Where else can you get this affordable price?? All the themes in Elegant directory look so stunning that you find it hard yourself to decide which one to use. With their theme license, you also get access to Monarch & Bloom WordPress plugin. I personally love them. If there’s only one secret behind the success of Elegant themes, it will be this, it offers great premium WordPress themes within a cheap price tag of $39. It also offers great support, responsive design, better functionality, and all the themes are optimized for the search engine to bring more traffic to your sites. They are one of the top premium WordPress theme providers. Well, these are just a few of many paid WordPress theme framework available. There are many others like Solostream, ThemeJunkie, ThemeForest, which are worth a look. Do let me know which premium theme you are planning to purchase? My favorite Framework is Genesis 🙂 It’s friendlier and have more choices for users.